Sterling Silver Snake Bracelet with Beaded design. Bead and Snake bracelet approx. 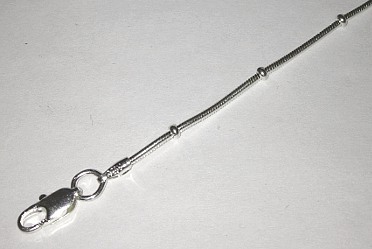 190mm length with quality clasp 925 Silver.